I spent the morning working on a new novel. About 11,000 words in and it’s going so well I should be alarmed. I shouldn’t even say how much I’m enjoying writing it aloud, much less put it in writing, for fear of jinxing myself–especially since it’s in two voices and one of them is a boy’s, something I’ve never been able to make work. But for now I’m humming happily along. 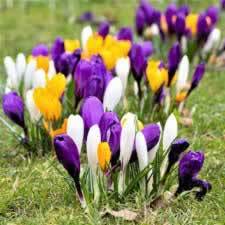 It’s a little like the first stages of making a new friend, when the excitement over what you’re discovering about the new person (and so yourself) far outweighs the fear of the disappointments and problems that may life ahead. 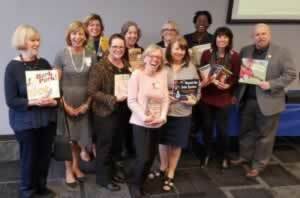 Other things that have been happening–lots of school visits. I’ve done so many of these over the years, and yet they never get old. I still get nervous the night before. I still wonder, as soon as the kids start filing into the library or gym, why on earth I ever get nervous. I’m about to make a small video for the Nutmeg Book Award. 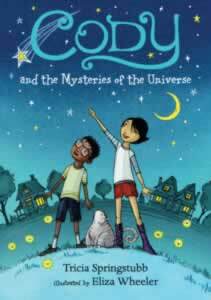 CODY AND THE MYSTERIES OF THE UNIVERSE is one of the (many wonderful) nominees. 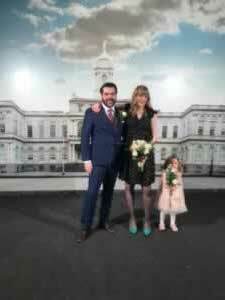 And on a (more) personal note, on March 8 our youngest daughter Delia married Patrick, the love o’ her life, at New York City Hall. Delia had new shoes, a handsome groom and, I’m sure you’ll agree, the world’s most adorable flower girl.